Miguel Paredes founded Prudent Fiduciary Services to provide Independent Fiduciary, ERISA compliance consulting, and expert witness services related to employee benefit plans such as qualified retirement plans and health and welfare plans. Prior to establishing Prudent Fiduciary Services, Mr. Paredes had a distinguished 12 year career as an employee benefit plan investigator and supervisor with the U.S. Department of Labor, Employee Benefits Security Administration (EBSA). During his time with EBSA, Mr. Paredes conducted and supervised several hundred investigations of ERISA-covered retirement plans, health and welfare plans, and plan service providers, with a focus on Employee Stock Ownership Plans and other investigations involving complex financial issues. Mr. Paredes is also a noted ERISA authority that represented the Department of Labor at various speeches and trainings to ERISA fiduciaries, service providers, and the public on ERISA fiduciary duties and EBSA investigations. In his current role as a professional Independent Fiduciary and ERISA Compliance Consultant, Mr. Paredes brings an expert-level understanding of the requirements for ERISA compliance, balanced with a common-sense approach to the needs of corporate stakeholders. Prudent Fiduciary Services helps ensure that employee benefit plans are being administered prudently, effectively, and in compliance with the law. As a professional Independent ESOP Trustee, the Prudent Fiduciary team utilizes its ERISA compliance expertise, business acumen, and a robust due diligence process to help execute successful and highly compliant ESOP transactions. PFS also provides Independent ESOP Trustee services for ongoing ESOPs to ensure the ESOP is being administered prudently, effectively, and efficiently. The appointment of an Independent Fiduciary is an effective solution in various situations. Prudent Fiduciary Services can act as the named fiduciary ERISA Section 3(16) Plan Administrator for various types of retirement plans, including multiple employer plans (MEPs). 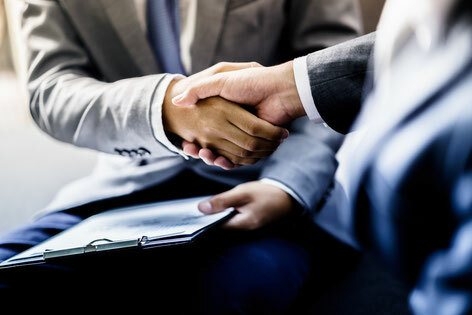 An Independent Fiduciary can avoid or resolve potential conflicts of interests, oversee the proper termination of abandoned plans, or evaluate settlements in accordance with DOL Prohibited Transaction Exemption 2003-39. The Prudent Fiduciary team’s extensive experience and in-depth understanding of ERISA fiduciary duties and compliant administration make PFS well suited as an Independent Fiduciary for employee benefit plans. ERISA sets standards of conduct for fiduciaries who administer employee benefit plans. Navigating these complex fiduciary requirements can be fraught with peril. Prudent Fiduciary Services brings to bear decades of experience enforcing ERISA and helping bring employee benefit plans into compliance. PFS ERISA compliance consulting services can help ensure that your plan is being administered prudently and in accordance with the law. Several Prudent Fiduciary team members had distinguished careers at the Department of Labor enforcing the fiduciary provisions of ERISA and teaching/training the regulated community about their fiduciary obligations under the law. This experience coupled with expertise relating to employee benefit plans generally, and ERISA fiduciary requirements in particular, makes PFS uniquely qualified to serve as a testifying expert relating to fiduciary prudence or a myriad of other issues related to ERISA. PFS provides professional Independent Fiduciary and consulting services, but it does not provide legal advice.